Much is made of handling POV in stories – it always crops up on creative writing courses, at festivals and in How To books. Why wouldn’t it? It’s one of the basics of telling a story, and is a skill that must be mastered if we are to write anything half decent. My first novel, Mrs Sinclair’s Suitcase, was essentially a double-POV/timeline novel, told in two strands: 1940 in third person past tense, and 2010, told in first person present tense. That was basically it, with the occasional foray into other characters’ minds and hearts. It was a fairly straight forward process. 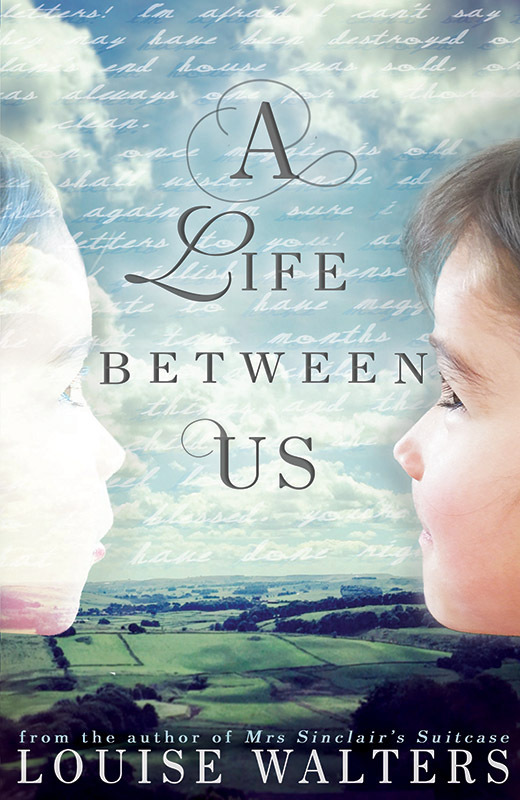 In my second novel, A Life Between Us, the two main strands are 1950s/60s/70s, and 2013/14/15. Both of these strands are told in omniscient third person narration, focusing mostly on two or three characters’ POV. Was it too ambitious for a second novel? I was already wondering this, when into the mix came a rather insistent child’s voice, beavering away writing letters to her American pen pal (a cousin she has never met). I love epistolary novels, so I couldn’t ignore my protagonist Tina’s younger voice. I had to face the fact I was writing a three-hander! The added complication is that my two non-epistolary timelines converge, so by the end of the novel they are happening at the same time – 2013/14. What to do? I did the only thing a 21st century novelist can do – I opened a spreadsheet. I popped in all the important dates – births and deaths, weddings, all the major events in the novel, for my cast of 15 or so characters. The spreadsheet seemed to help at first. My first timeline begins in the 1950s and ends in 2014, the second timeline begins in 2013 and ends in 2015 (are you keeping up?!) The childhood letters are written between 1975 and 1977, with one last written by the adult Tina in 2015. The letters fill in gaps, tell parts of the story that don’t appear in the other timelines, and show us events we have read about or will read about. I realised I had got ages wrong, dates of birth out of sync. I had to tweak those. And as all novelists know, one tweak leads to another, until your whole writing life becomes a tweak fest. Your story can topple like a house of cards. And mine did! But I sorted, tidied, read and re-read, and finally it was ready to submit. I listened to criticisms, and acted on them. I re-vamped the plot, changed some character names (remarkable how this can re-boot a novel! ), changed the focus of the story. Basically, I re-wrote half the novel… and for the other half, I did a lot more tweaking. Finally though, I had it. The novel, and the spreadsheet, made sense . I felt by this time I had a real handle on the story. I’d got to know my protagonist Tina well, and I felt I understood her. My supporting cast were all in place, with the main ones having their own story arcs. I felt I had handled the three timelines well – eventually! The trick was to keep each timeline chronological. So although we alternate between the two timelines, and read Tina’s childhood letters in between chapters, it is, I hope, fairly easy to follow. I’ve headed each chapter with the month and year in which it takes place, again providing some clarification. In my early drafts the events were not chronological, and I provided no chapter headings, which was simply too confusing. One of the great things about writing this novel was getting inside Tina’s childhood mind. She is the same age as me, so re-visiting the seventies was a lot of fun. Clackers! Those clackers became quite symbolic and I hope I made good use of them. Self-publishing (in my case, assisted publishing) has been a thrilling, terrifying, roller coaster ride, and a massive learning curve. I’ve had moments when it’s all gone awry, but the experience of project managing the publication of my own novel has been a revelation. I love being in control, having major input into the cover design (I hired a wonderful designer to actually design it, but I had the final say, which was exciting). I had full editorial control, which is both wonderful and worrying! I’ve probably made mistakes… but I’ve also not had changes thrust on the story that I felt were wrong. And I kept my three converging timelines! PS, my current WIP is a single timeline, linear, spreadsheet-free novel. Oh, the joy…! 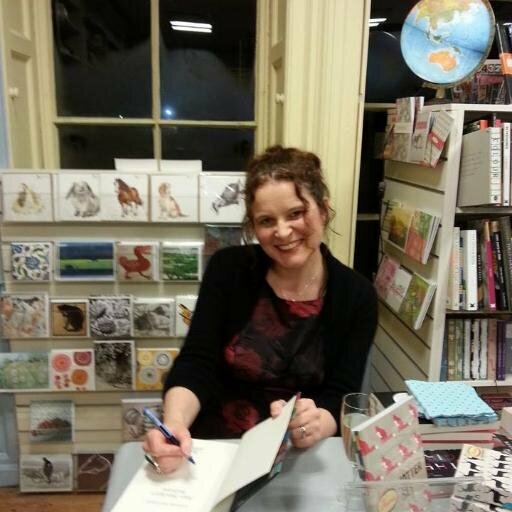 Thank you to Louise for a post that sheds a lot of light on her craft and motivation – I’m sure many will find it interesting and encouraging. I’m going to cut to the chase, since you may be wondering: is this second novel by Louise Walters as good as the debut which brought her commercial success? Well, in my opinion, yes it is. A Life Between Us displays an even greater mastery of timeline/point of view, combined with the particularly confident and engaging tone of her writing. If I admit to being less taken with Tina’s 10-year-old voice than the adult strands, that is primarily a personal reaction due to me being a tough sell on pre-teen narrators. Once again, this is a story written with compassion and understanding of human nature, family ties and the invisible burdens people have to live with, all of which make the characters feel very real. One of the bravest and most impressive elements is something best not revealed in advance, which would make this a good choice for book groups. It’s a compelling story which forges inextricable bonds between an atmospherically rendered past and the present. Secrets feature prominently in many book blurbs and all novels depend on the dispensing and withholding of revelations; the writer’s job is to make it all worth the reader’s while and this definitely was. A Life Between Us is an enjoyable and satisfying read destined to find its way onto many readers’ TBR lists this summer. Next week I’ll be bringing you the postponed Guest Author piece on Post-war California by Addison Jones, whose novel Wait for me, Jack is one of my spring Sofa Spotlight titles. Thanks, Jude – it does seem to me that attitudes are beginning to change, at least towards those who demonstrably adopt industry standards across the board: editorial, design, etc. It’s about time! Oh what an inspirational post! The vagaries of publishing never cease to amaze me but this shows that there is, now, a very credible alternative. And perhaps traditional publishers should sit up and take note. Thanks! Thanks for commenting, Annabel. Although in general nothing in publishing surprises me any more, I am bemused as to how Louise’s book fared, but as you say, there are other ways of doing it and she’s a great example of someone self-publishing quality work. I love this piece, Louise and Isabel, with lots of humour among the scary spreadsheets. Oh, and that one little tweak that sets off a tsunami, but all part of the fun. As the big publishers’ mindset gets continually more confusing, we can only write what we believe in ourselves. Good luck with the book. Certainly agree with you on that last point, Anne – worry about whether anyone else gets it later!